The WIN Bookstore invites the visitor to enjoy important publications in the fields of forensic and clinical psychology, mental fitness, emotional well-being, and parent facilitation. The following are a list of titles written or co-written by Doctor Gordon. Why don’t you have time to read this book? Only you can answer this poignant question. We hope this provocative inquiry will cause you to think about it. The Authors also hope that the ideas presented in this book will assist you in searching for answers that are meaningful for you. If you control your time, you can control your life. Your answers can change your perception of the reality of your life. When your perception of reality is changed, you can change your understanding and behavior in a positive way. This opens the door to your becoming a happier, more fulfilled, caring and accomplished person. co-written with Ami Gordon, Sue Gordon and The WIN Experts Panel. co-written with Kelley Leach M.S. 4th Quarter Winners is designed as a self-help tool that presents seven practical keys vital to developing a successful life plan. By tracking these keys, the reader can embark on a journey of self awareness, discovery, and fulfillment in the period of life that has long been overlooked for its positive features or mischaracterized by the thoughts of the past. It points the reader to the reflections and resources needed to achieve the rewards associated with the passage into a potentially exciting and rewarding period of life. 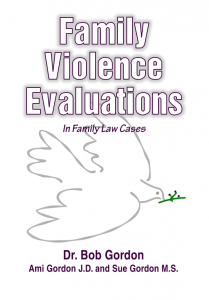 Doctor Robert Gordon has helped people to confidently realize what they already know about being a witness and has helped bring out the best in them under trying legal circumstances. This is what made them successful. This primer can do the same for you. Will you open your mind and appreciate your own aptitudes, potential and likability. The book is entitled “The One Minute Witness” because it is designed to be grasped quickly and retained easily. It is organized around 10 vital principles and, in so doing, focuses attention on the most important aspects of being an effective witness, regardless of the subject matter of the case or your role in it. An authoritative, quick reference. A handy guide for outstanding trial lawyers and clients with worthy causes and vital defenses in commercial and intellectual property cases. Main points and best practices for conducting a successful voir dire. Easy to read, remember and apply. Review the night before and the morning of voir dire. Written by legendary jury scientist, Dr. Robert Gordon.